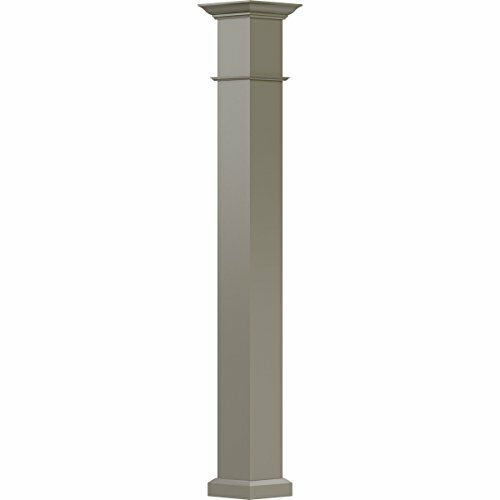 AFCO EA0610INPSFWEWE 6'' x 10' Endura-Aluminum Wellington Style Column, Square Shaft (For Post Wrap Installation), Non-Tapered, Wicker Finish w/ Capital & Base by Afco at UCBC Group. MPN: EA0610INPSFWEWE. Hurry! Limited time offer. Offer valid only while supplies last. Endura-Aluminum columns are a solid choice for your home improvement needs. Durable and beautiful, these columns add incredible value to your home. If you have any questions about this product by Afco, contact us by completing and submitting the form below. If you are looking for a specif part number, please include it with your message.